Are you looking for a snack that is healthy but simply delicious? Great for all ages of the family? Recently me and Maxwell were very excited to receive a lovely package. 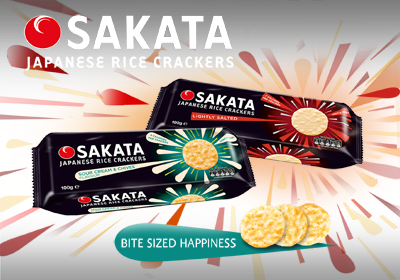 The contents inside the package were a selection of the new range of mouth watering Sakata crackers. Me and Maxwell were both very eager to try them. We were sent 3 packets of the new range. The Lightly Salted, Sizzling Barbecue and Roast Tomato and Balsamic Crackers. You are also able to buy the sour cream and cheese and the Seaweed and Soya Sauce. We tried all 3 flavors over a period of a few days and we found that we both enjoyed the Lightly Salted and the Sizzling Barbecue flavors, however we were both not so keen on the Roast Tomato and Balsamic. My personal favourite was the Sizzling Barbecue and I could have easily ate the whole packet. The taste was delicious. I liked how the crackers were crispy and light and how they would make a perfect snack. When Maxwell tried the crackers I saw that they were easy for him to pick up and grip. Maxwell really enjoyed the lightly salted crackers and enjoyed these at lunch. Each cracker is low in saturated fat, gluten free and made with no artificial flavors or colours. Also a key thing to note is that the crackers are only 8 calories or less each! Sakata rice crackers are available in 100g packs from Sainsbury’s, Morrison’s, The Co-operative, Waitrose and Ocado (RRP £1.99). At just £1.99 I believe they are a bargain. Overall I think these are a very tasty perfect little snacks to nibble on throughout the day. They also provide a great snack for little ones. We loved the crackers and at only 8 calories or less per cracker you can't go wrong. They are delicious and simply melt in your mouth. Overall I would rate these crackers 4.5/5. 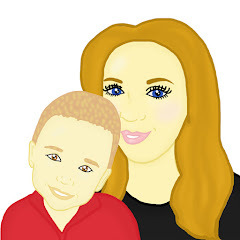 Please visit www.sakata.uk.com for more products and information. You can also get more information about Sakata on Facebook and Twitter. One of my new year resolutions was to start trying different food, I'm so fussy its not good, when I go out with friends and/or family for a meal, I end up being the last to order because of the fusiness! looks good as an afternoon snack! Love these, totally agree with your review. Thank you.